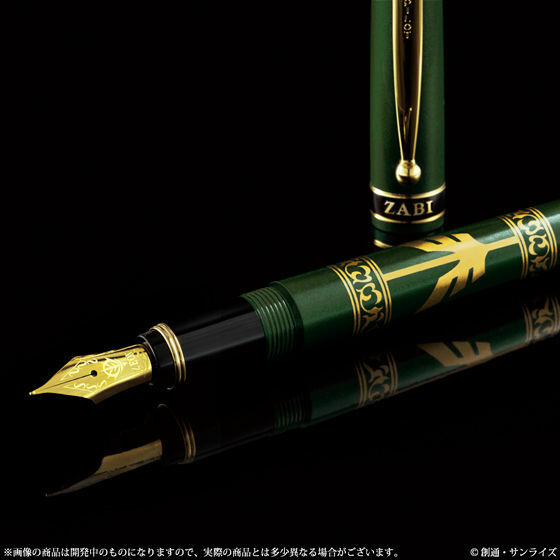 Sign your name with this Mobile suit Gundam Zabi Family fountain pen. 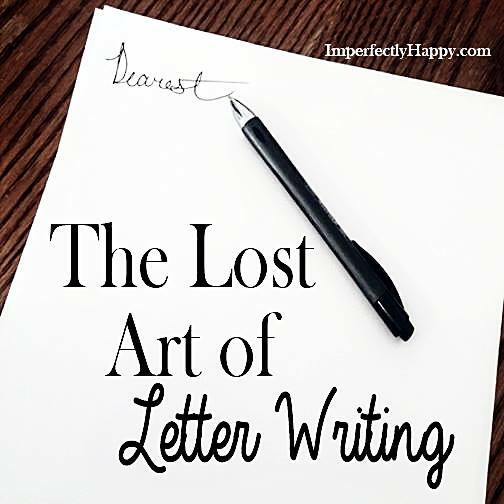 Yeah I know that we live in a time that handwritten letters are a rarity….replaced by the cold keyboards on our electronic devices, the traditional fountain pen leads a lonely life. Years of communicating through e-mails have made us lose this particular skill that sets us apart from our other fellow human beings, a handwritten sentence is like leaving a big fat fingerprint, sprinkled with DNA and a bit of skin tissue, there’s no doubt whose it is. Nothing looks cooler (I’m a bit exaggerating now) than a person who takes out a fountain pen and writes a small note in a perfect distinguished handwriting , it shows analog class in a world led by everything digital and it shows confidence. A handwritten letter will open more hearts than a smiley e-emoji. It shows that you went the extra mile, and in this era of short cuts, that is a breeze of fresh air. 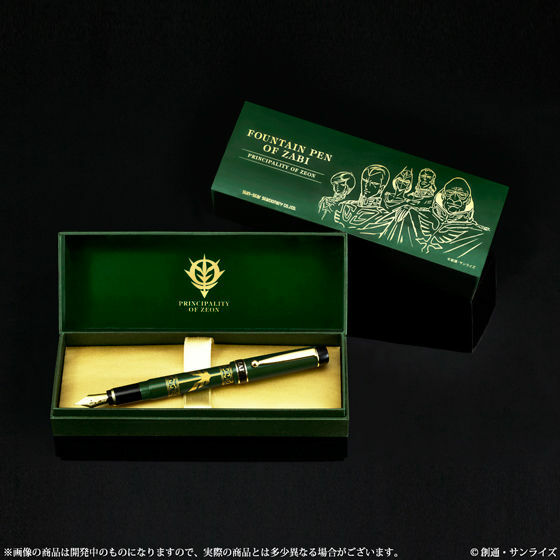 This collaboration model of Japanese pen maker PILOT and Premium Bandai fills the needs of Gundam fans in the need of some classy distinguishability. 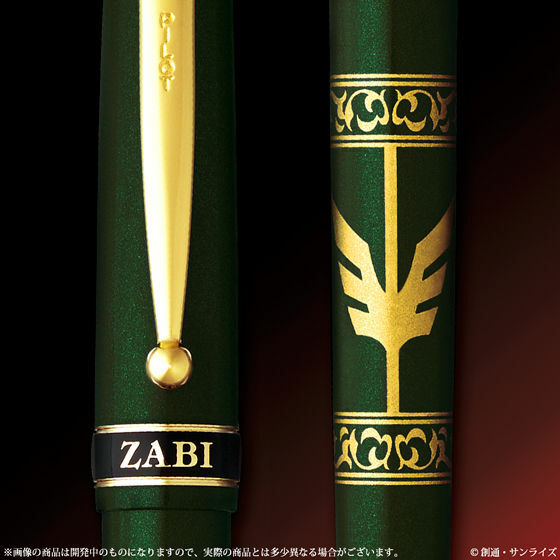 Based on the Mobile Suit Gundam Zabi family this beautiful looking pen comes in green/black with the image of ZEON in gold. 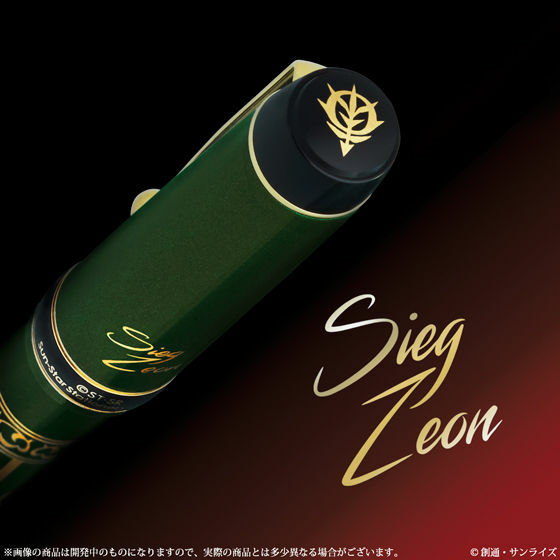 the point or nib of the pen is gold coloured and engraved with the letters ZEON. The tip is an “F” (fine) making it versatile in its usage (think resume..). The pen comes in a nice box and includes two cartridges, blue and black and since PILOT is a world wide known brand, extra carts shouldn’t be hard to get. The price for this lovely article is 7,560 yen (you’ll receive 75 points too), and is now up for pre-order with delivery in October. If you have interest or questions about this product, please send us the following form.